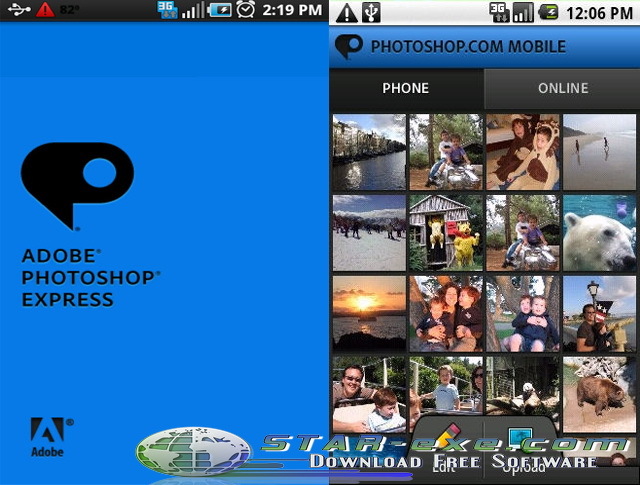 Adobe Photoshop Express v1.3.2 for AndroidYou like to edit a personal photo belongs to you? But was not carrying a laptop already installed Photoshop? Now you do not need to worry because on this occasion I will share about Android application, namely Photoshop for Android - Adobe Photoshop Express. 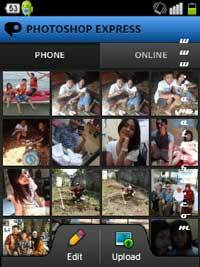 can edit your photos wherever you are only using Android phones only. For its size you do not need to worry, because 1 Mb only. Internal and external memory you also will not be filled simply by installing this small application, but with exceptional benefits. How? You interested? It does not complete its existing on the PC version. It's known mobile version, if given the features such as on a PC how much memory do we need? please direct download via the link I have provided.